We were sitting on our front porch last night chatting and catching up with each other as we often do. Matt had a nice full cup of Pepsi from the gas station sitting on the table next to him. I true Griswold fashion, as he went to sit, somehow at the perfect moment, his arm hit the cup and sent it falling downward. It slipped in between his bottom and the chair at precisely the right moment. 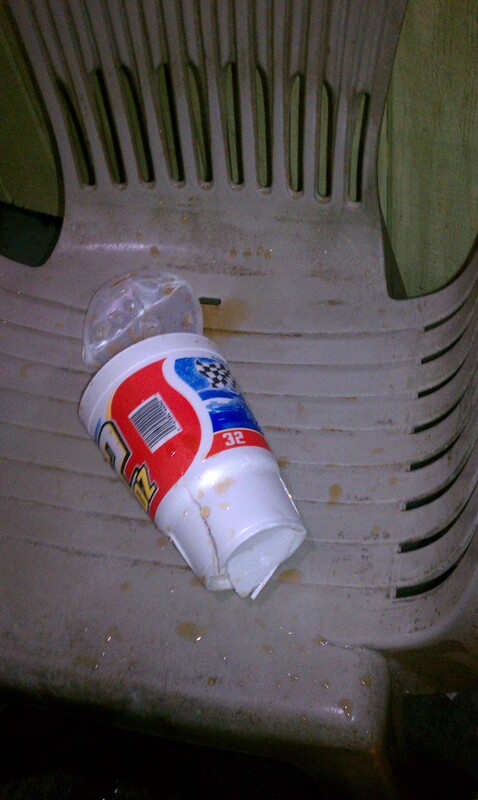 It was too late to stop and his booty crushed the cup as it crashed down upon its delicate styrofoam body. The result was a wet, sticky mess. 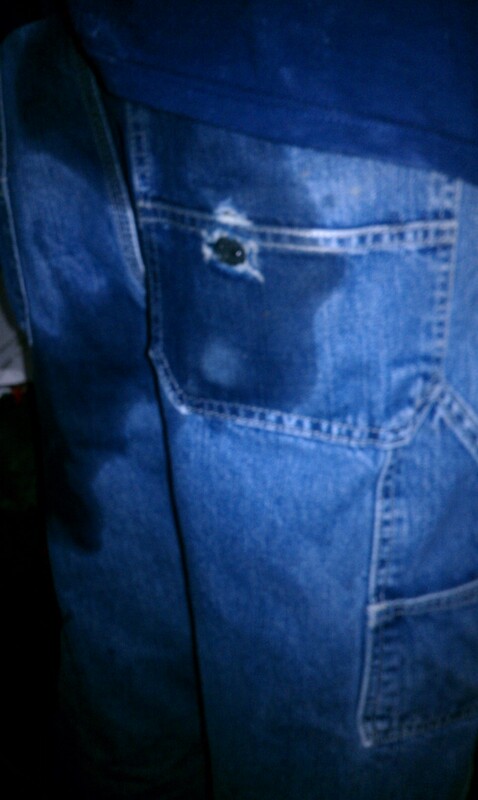 Oh and also, Matt’s cute little bottom was soaked through with cold Pepsi. So what lesson did we learn? Oh that’s right…that even in the simplest of times, we are Griswold’s and the laws of Griswold nature are that something will get you and you can never hide from the Griswold factor! Like this post? Then share it with everyone, and don’t forget to follow us for more fun! ha! at least it wasnt an ice cream cone on the sidewalk.